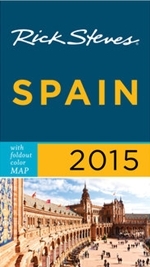 ← Spain Travel by Bus, Train, or Airplane? It’s that wonderful time again in Madrid, time for the 2009 Suma Flamenca – the month long Madrid Flamenco Festival featuring some of flamenco’s best artists; singers, dancers, and guitar playing. This year will be my 3rd round of the 4 years of the flamenco festival’s existence. Last week I attended the press conference for the 4th Annual Flamenco Festival of the Comunidad de Madrid in the Teatros del Canal (Calle Cea Bermúdez, 1, metro Canal, Paseo de la Castellana near the Plaza de Castilla). First, the large building, Teatros del Canal, is brand new, ultra modern, glass and steel, and lacks any character. But since the newly built theater venue is owned by the Madrid City Government they’ve got to put it to good use. The press conference was the 3rd I’d attended. The previous two conferences took place in the beautiful old brick El Aguilá Beer Factory. This building had been totally renovated inside, but no matter. The new Teatros del Canal is what we’re given this year for the site of the press conference and a number of the flamenco performances for this year’s Flamenco Festival. Santiago Fisas, Juan Verdú, and even singer Paco del Pozo & dancer Roció Molina sat on the panel to discuss this year’s flamenco festival and all that entailed. Apart from discussion about the performers and venues, much attention was given to “La Crisis” and how it will affect this year’s flamenco festival in Madrid. At the end of the press conference, there was a short performance given by singer Paco del Pozo and dancer Juan de Juan which was quite entertaining (photo at right). The 2007 & 2008 Suma Flamenco press conferences ended with a huge, catered affair with more performances, television interviews of the stars, and lots of FREE wine, beer, before-your-eyes-poured sidra, before-your-eyes-cut jamón serrano, even hot cocido madrileño served in tiny terracotta bowls. ALL kinds of food and drinks were served by shirt-and-tie servers, all waiting on you hand-and-foot. Plus free Suma Flamenco T-Shirts! After this year’s press conference, we were sent off with a smile and a “Thanks for coming!” That’s the economic crisis for you. Mind you, I’m not complaining, the expenses for previous-year’s press conferences were exaggerated – but welcomed, nonetheless. We were told there would be more venues used this year and about as many performances as last year. Take a look at the Suma Flamenca website for the schedule, venues, and performances. Overall, in comparison to previous years, I’d say the line-up looks pretty good. Some of the performers I’d seen last year in downtown Madrid are performing in the other cities and villages of the Comunidad de Madrid and not in the city. And since I have no car – and don’t drive in Spain – I won’t be attending any not reachable via metro. I’d hoped to see singer María de Toledo and dancer Belén López once again. They’re impressive. But I’m sure I’ll be impressed by some of the newer (new to me) performers and venues. Sadly, since La Comunidad de Madrid closed down the Teatro Albéniz last year – converting it to flats – I’ll miss this centrally located theater. Also on the DOWN-side, many of the performances take place on the far-north venue of Teatros del Canal, about 45 minutes away by metro for me. On the UP-side, the Teatro Häagen-Dazs Calderón de Madrid (downtown, next to the Cine Idea on the Plaza Jacinto Benavente) and Teatro Lara will be a nice change, I’m sure. So if you have the chance, attend some of the 2009 Suma Flamenca performances from 7 May to 20 June (although their logo above incorrectly shows the ending date to 15 June) throughout the Comunidad de Madrid – as well as IN the City of Madrid. The vast majority of performances are those of flamenco singing but there are a handful of flamenco dancing performances to enjoy as well. Tickets are pretty reasonably priced and you can’t get a more Spanish experience. In fact, the vast majority of those attending these performances ARE SPANISH! I saw very few non-Spaniards at the previous years performances, and you even see some Spanish celebrities in attendance. This year, I hope to attend 10-15 flamenco performances. Can’t wait!! 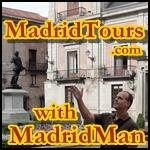 This entry was posted in Entertainment, Flamenco and tagged flamenco, flamenco festival, Madrid, Suma Flamenca, Teatro Albeniz, Teatro Lara, Teatros del Canal. Bookmark the permalink.